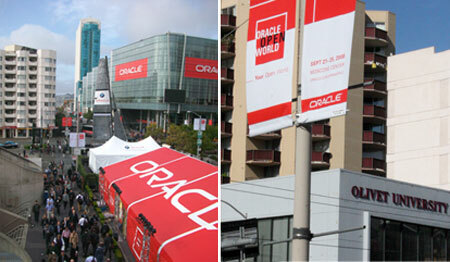 This week, students and faculty of the Olivet Institute of Technology (OIT) are taking part in Oracle Openworld, the world’s largest information technology event. The event is being held at the Moscone Conference Center located adjacent to the University's main campus in downtown San Francisco. Faculty and students attend the conference annually to see the latest in IT developments and research. One field in which OIT students are taking a deep interest this year is the area of database technology. Database technology serves as one of the crucial fields the internet and network and is also part of OIT's core curriculum. Immediately following Oracle Openworld, OIT faculty will be conducting workshops on topics covered during the conference. In addition, several of the student research teams will conduct their own analysis of some of the technology presented at the conference.